Did you know that 45% of students at UCI suffer from food insecurity? 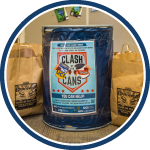 Help combat hunger at UCI by donating non-perishable goods during UCI's eighth annual Clash of the Cans food drive. 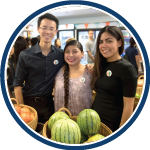 All goods collected through December 21 will benefit UCI's FRESH Basic Needs Hub, a student-initiated project that ensures UCI students' basic needs are met by providing resources, services, and support to help the campus thrive. We are also proud to support National Hunger & Homelessness Awareness Week on November 13 through 18, in which Anteaters may participate in food preparations, donate goods, and partake in various UCI hosted events. 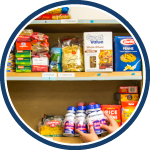 OC Food Bank's aim is to make a positive impact in people's lives by helping them meet basic needs and strengthen their support system. They work with nearly 400 local charities, soup kitchens, and community organizations to end hunger and malnutrition within Orange County. Make a monetary donation at OC Food Bank Donation. Donate three non-perishable goods at the Langson Library or Science Library checkout desks to receive up to $9 in waived library fees. For the hours of each checkout desk, visit the UCI Libraries website. 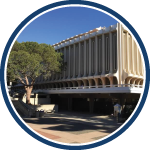 If you have questions about this UCI Libraries offer, please visit the help desks at either location. In addition to participating in this food drive, there are many other ways to get involved. The Community Action Partnership of Orange County and the Orange County Food Bank are always willing to receive donations of goods, time, and money. Volunteers to work their various programs are also welcome. Let's show our Anteater pride and let them know how we can help!